Kia's entry in the competitive and crowded compact-car class is available in two body styles, the stylish 2018 Kia Forte sedan and the even sexier Forte5 hatchback. Both are refined, fuel-efficient and packed with features. Each offers high-quality interiors, impressive infotainment systems and a choice of three trim levels, while the top-of-the-range Forte5 SX features a turbocharged engine with over 200 horsepower. My Kia forte is a great car that is very inexpensive to buy and maintain. The forte I drive is extremely good on gas getting around 36 miles per gallon. It has a smooth ride and is extremely comfortable to dive in for long periods of time. There are only a few problems I have had with my forte since I purchased it a little over three months ago. First I have had problems tethering my cellphone to my car and keeping it hooked up. For some reason it will just stop working and I need to reprogram it. Also does not download all of my contacts from my phone. It also has a problem with connecting to my phone when I get in and start my car. It also will cut phone calls off in the middle of the conversation and or have a problem with the microphone so whoever your talking to cannot hear you or vise Versa. The other problem is with the key fob not working all the time. The batteries are brand new so it is not like they do not have the power it must be the transmitter or the receiver. It does this for periods of time sometimes as long as a week or as short as a few hours. All in all I am very pleased with my Kia forte. A practical and reliable car. We are quite satisfied with our 2018 Kia forte. It has a nice ride and is relatively quiet. We do notice some wind noise when traveling at highway speeds (~70 mph), but it is not too worrisome. We also have some ongoing issues syncing our mobile devices. Sometimes it takes a free tries to sync successfully. We have not had any maintenance issues so far. We take it into the dealership for regular oil changes at the recommended intervals, and they have not found any issues during their routine checks. There are plenty of more exciting cars on the road, but we needed something reliable and practical. The forte fits the bill perfect.ly for us. Great affordable vehicle that is in your budget. Sleek and comfortable. Its is nice and sleek. Drives very comfortable on the road. I love the bucket seat and the interior. The performance on the road handles it pretty well. I am not to thrilled about the sound quality when I first got the car but I manage to fix that. One of the most striking feature about this vehicle is how it performed in all types of weather conditions. I live in the Midwest so we get a heavy winter storm and this car was able to drive through slush of snow and even through sleek roads. I was very impressed by what this car can do with these type of harsh conditions. 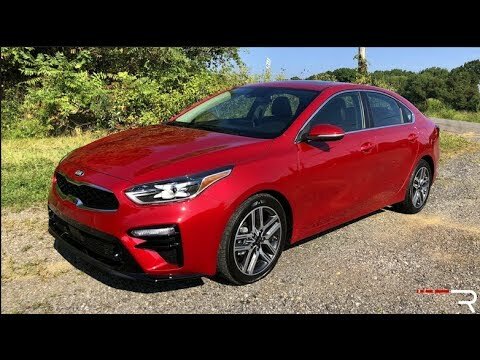 2019 Kia Forte EX – The Affordable Baby Stinger? 2018 Kia Forte LX review!!! Gas saver and cheap ? ?